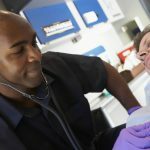 EMT Training Help was established with the need to provide comprehensive information on becoming a paramedic in the United States. Why do something that already exists? We thought you’d ask this! We’ve seen a lot of websites trying to provide information to prospective EMT’s and frankly, they are either too cluttered or in numerous cases written by people not even residing in the US. We would like to provide a resource that is easy to navigate and is actually helpful. We currently do not offer scholarships but we plan to offer a grant very soon. You can comment below if you’re interested and we’ll notify you as soon as we’re live.